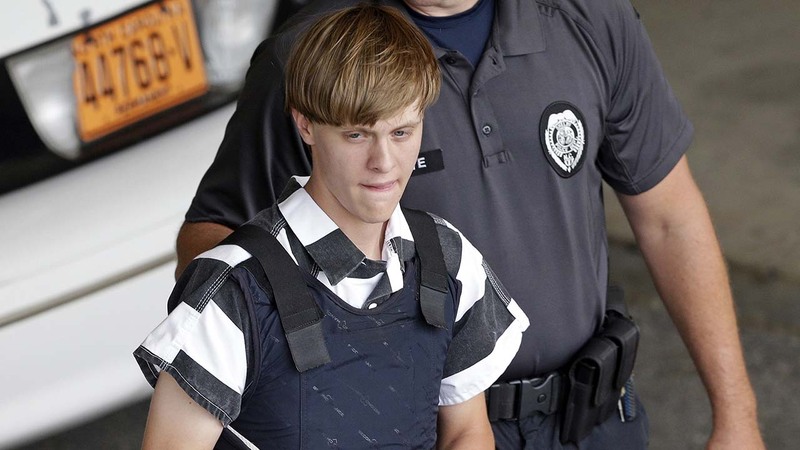 CHARLESTON, S.C. -- Dylann Roof was sentenced to death Tuesday for killing nine black church members during Bible study in a racially motivated attack, the first person to face execution for federal hate crime convictions. A jury deliberated his sentence for about three hours, capping a trial in which Roof did not fight for his life or show any remorse. At the beginning of the trial, he addressed jurors directly, insisting that he wasn't mentally ill, but he never asked them for forgiveness or mercy, or explained the crime. He threw away one last chance to plead for his life on Tuesday, telling jurors: "I still feel like I had to do it." Every juror looked directly at Roof as he spoke for about five minutes. A few nodded as he reminded them that they said during jury selection they could fairly weigh the factors of his case. Only one of them, he noted, had to disagree to spare his life. When the verdict was read, he stood stoic and showed no emotion. He will be formally sentenced Wednesday. Roof told FBI agents when they arrested him a day after the June 17, 2015, slayings that he wanted the shootings to bring back segregation or perhaps start a race war. Instead, the slayings had a unifying effect, as South Carolina removed the Confederate flag from its Statehouse for the first time in more than 50 years and other states followed suit, taking down Confederate banners and monuments. Roof had posed with the flag in photos. The attacker specifically picked out Emanuel AME Church, the South's oldest black church, to carry out the cold, calculated slaughter, Assistant U.S. Attorney Jay Richardson said. The 12 people Roof targeted opened the door for a stranger with a smile, he said. Three people survived the attack. Richardson recalled Jennifer Pinckney's remarks about her husband, Clementa, who was remembered for singing goofy songs and watching cartoons with their young daughters in his spare time. After more than two hours of discussions, jurors re-watched a speech by one of the victims, Clementa Pinckney, the church pastor and a state senator. In it, Pinckney talks about the history of Emanuel and its mission. Roof acted as his own attorney and did not question any witnesses or put up any evidence.